How to Determine the Best Architectural Ceiling Fans & exclusive Summer 2017/18 Picks! Nov 16, 2017 Ceiling Fans, Lifestyle, Tips Comments Off on How to Determine the Best Architectural Ceiling Fans & exclusive Summer 2017/18 Picks! There are several, subjective factors that can influence what are considered to be the best architectural ceiling fans. First and foremost, the aesthetics are a major factor. Clean and often curved lines are what make this category of ceiling fans elite in their design to become not only a functional piece in your home but also a bold statement. 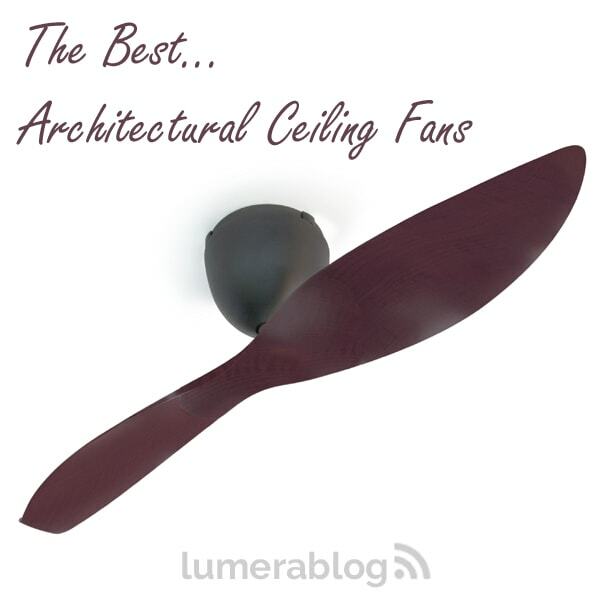 The best architectural ceiling fans are unique and seamless in their design whether they come with or without a light. Most architectural fans will take a minimalist and modern approach. You’ll notice they often have 2 or three blade designs unless they have a larger, industrial style. This allows them to accomplish the old adage of less is more by being stunning features in your space as a result of their sophisticated simplicity. On the other end of the spectrum you have those fans so unique particularly with the shaping of the blades that the overall design is unparalleled and you’ll find it very difficult to find a comparable alternative. In our range form and design does not take priority over the overall functional value of the fan. The best architectural fans in our range are both energy efficient and effective air movers. They are quiet in operation and most will generally feature the latest in DC motor technology. However, for those who prefer an AC fan which can be controlled via a wall control these are also available. In order to find our range of Architectural Ceiling fans there are several categories you may wish to have a look through to ensure you find the right one for your application based on the preferred style for your space. This category will feature both lighting and ceiling fans. All ceiling fans that will suit a modern or contemporary space can be found here. This narrows down our range further to those that have both a minimalist design and an option with a classic timber look. The Origin features cutting edge DC technology and features a sophisticated, aerodynamic, ABS plastic blade design. The powerful motor means it will reach a maximum airflow of 13,446m3/hr. If you opt to purchase the LED light kit you won’t be disappointed. The light kit was made to fit by seamlessly and subtly replacing the motor cap without influencing the design. This allows the fan to maintain its elegant and unique design. The Infinity DC is inspired by Scandinavian design with three minimalist, slimline blades. It combines impressive functionality with stunning design incorporating the latest in DC motor technology into a compact motor. It utilises only 35W on the highest speed of 6 available speeds. The Infinity with a 54″ blade span is suitable for indoor and outdoor, undercover use whilst the 48″ model with its integrated LED light is the ideal bedroom fan. The Aeratron offers a smooth, simplistic design with advanced functionality. 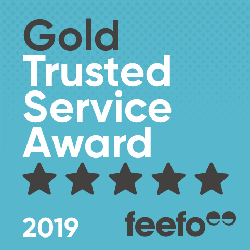 This range are highly rated for their silent operation and excellent energy saving technology and has won awards for its sustainable and architectural design. The unique and smooth air circulation system operates in complete silence thanks to its Swiss German-engineered self-balancing system, eliminating wobbling and vibration sounds by keeping the blades in a dynamic equilibrium, creating comfortable environments for living and working. Utilising sustainable timber combined with a contemporary design, the Spitfire is a sleek mix’n’match ceiling fan with several colour combinations available for your selection. Its aerodynamic efficiency and sculpted blades will complement any hardwood or timber flooring. For those who prefer to install an AC fan in their home without compromising on the intended style then the Spitfire is an ideal option. It comes with a three speed wall control however is remote adaptable. The Trident features a durable, whisper quiet DC motor, producing superior airflow. The option to have a 70″ or 56″ blade span makes it suitable for a range of modern living areas and larger bedrooms with the simple yet graceful three blade design. The models with Black or White motors can also be used for outdoor, undercover areas with an IP23 rating.